2 weeks part-time (typically 10-12 hours per week of work). This course includes 30 hours of online coursework, which includes readings, tasks, and peer participation. You will receive a separate digital certificate from what you receive for your standard TEFL course. More information can be found on the TEFL Course Dates page. All ITA Online TEFL Certification classes are taught by highly qualified university-level instructors with advanced degrees and experience. Please read Who Teaches International TEFL Academy's Online TEFL Certification Course? to learn about our standards for our professors. $279.00 - Check Specialty TEFL Course Dates & Tuition for current tuition discount offers. To complete this course, you must have a method to record and upload video to the internet. Common recording tools include a webcam, smartphone, or tablet. The equipment you use must provide a decent picture and sound quality. It is the responsibility of the student to ensure that they meet this requirement prior to enrollment. Extensions on tasks will not be given to students because of technology problems. All students and graduates receive lifetime, worldwide job search guidance from ITA's expert team of advisors. This includes extensive guidance and resources for teaching English online. This course features live lectures, webinars & chats, however, there is no required live time, and students can access recorded elements on the course website. This certification will prepare you for employment as an online English teacher. Read more on Teaching English Online here. All students must successfully complete an International TEFL Academy online or in-person TEFL course prior to taking the Teaching English Online course. Students should speak with their TEFL Admissions Advisor prior to enrollment & and may register when they enroll for their main TEFL Class and or at any time thereafter. Read More. Please review the Teaching English Online Class Syllabus. Why Take the Teach English Online Certification Course? With nearly 2 billion people learning English worldwide and the explosion of online learning, Teaching English Online offers fantastic opportunities for first-time and experienced TEFL-certified teachers. Not only are there countless opportunities that offer good pay & benefits, but teaching online offers fantastic flexibility and convenience that enables ITA graduates to teach online from virtually anywhere on the globe either as either a part-time or full-time job. You can start teaching English online before you go abroad to help you cover start-up costs, or even teach full-time from your home country. To provide International TEFL Academy students & graduates with the enhanced skills they need to succeed as online teachers and to qualify for the best possible opportunities, ITA now offers this state-of-the-art 30-Hour Online Teaching English Online Certification Course. If I can get a job teaching English online with a regular TEFL certification, why should I take this specialty course? Enhance your online teaching skills. A regular 120+ hour TEFL class will provide you with a strong foundation of basic teaching skills, but teaching English online in a virtual setting requires a unique skill set. From use of technology to lesson planning, this specially designed curriculum will take your online teaching skills to a new level that will serve both you and your students. Check out a full overview of the course syllabus here. Boost your resume. The fast-growing market for online teaching is booming and becoming more competitive every day. Employers and students want to hire the best teachers with the highest levels of skills and training. 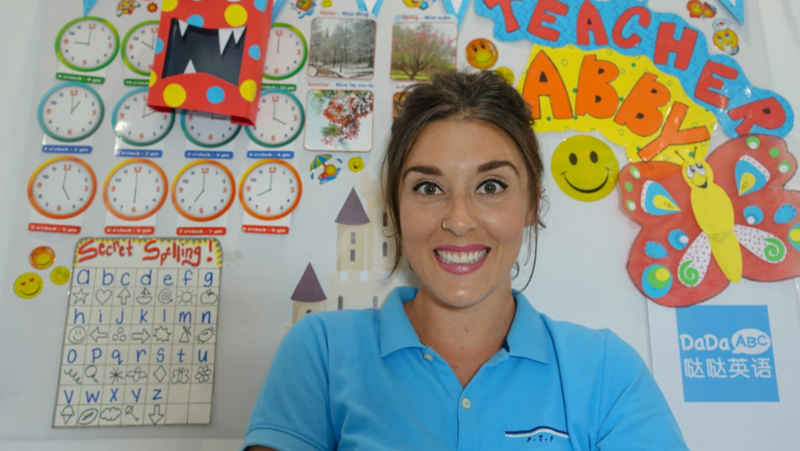 Taking this specialty course will set you apart from thousands of other English teachers looking to teach English online who only possess a regular TEFL certification and no specific training for online teaching. NOTE: Many online teaching companies use reviews as a basis for their pay scales, so enhancing your skills to get better reviews is a great way to increase your pay as an online English teacher. Also, students (or their parents) typically choose and hire teachers based on reviews and resumes and are most likely to choose those with the best reviews and the best training on their C.V. Prepare yourself for a fast-changing & diverse job market. 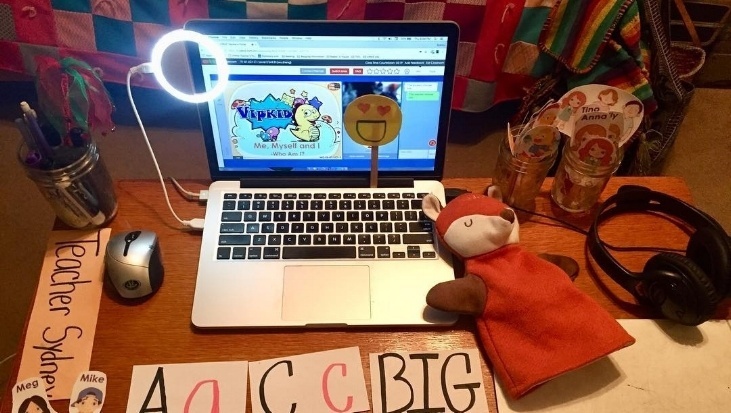 Think the job market for teaching English online begins and ends with huge companies like VIPKid? If so, you may be missing out on thousands of opportunities across this diverse field. The course provides an overview of the field, covering types of online teaching positions and ways to facilitate your entry into that position. We also cover the best online teaching practices and explore sample lesson materials and sample demo videos designed to make you a more effective online language instructor. International TEFL Academy’s Teaching English Online Certificate Course is a fully interactive course taught by a seasoned university-level professor with an advanced degree in TESOL or a related field and international teaching experience. Featuring a specially-designed curriculum, the course is designed to incorporate the latest in teaching methodology and best practices. It will also prepare students who are looking to Teach English as a Foreign Language (TEFL) to children or adults online. Throughout this course, students will learn various pathways and methods of online delivery, as well as how to develop an online presence as an English teacher. They will also learn best practices for planning and delivering online language instruction. This course will be delivered entirely online through the course management system Moodle. In Moodle, students will access online lessons, course materials, tasks, and resources. All tasks will be posted in an online forum or taken as an online quiz. Increased peer-to-peer interaction. Teachers learn from other teachers and students learn from other students. This class is designed to facilitate more peer-to-peer interaction than ITA's standard 170-Hour Online TEFL Class, both in chats and through videos, which all students are required to make and share. Bear in mind that in many cases, there will be students in the class with prior experience teaching English online that they will share with the class. Student are able to participate in such interactions easily on all devices, including mobile phones. Extensive use of video demonstrations. Teaching English online is a very visual experience for both teachers and student. This course incorporates a wide array of video demonstrations so that students can gain critical insights into all aspects of teaching English online from error correction to use of props, as well as a clear picture of how major platforms work & operate. Practical job market insights. 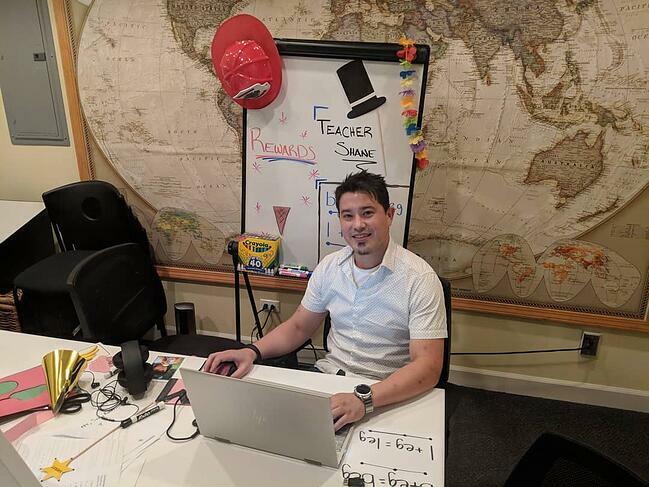 This course helps people understand the ins and outs of two main pathways to teaching online: independent contracting (tutoring) & working for an online school (like VIPKid). The course gives very practical advice about how to market yourself online and interview for an online EFL school and how to navigate "facilitated marketplaces" (online forums where teachers market themselves to students & employers). Accessible through multiple devices, including mobile. Also, no need for Microsoft Word! Immediate access to your certificate. Once you have successfully completed the course, a digital/printable version of your certificate will be available immediately (no need to wait for the mail!). NOTE: The certificate you receive for this course is separate from the certificate you receive for your 170-Hour TQUK-accredited Online TEFL Course or the onsite TEFL course that you complete through International TEFL Academy. Comprehensive textbook. From lesson plans and teaching tips to job market insights, this fantastic resource is available on our Textbook Page. You must be an enrolled International TEFL Academy (ITA) student or graduate to enroll in this course. Not an ITA student? Fill out a form here to receive detailed information about TEFL certification and job search guidance for teaching English abroad & teaching English online. Tuition for this class is $279. Please check our Dates & Tuition page for more information (including discounts). You must begin your 30-Hour Teaching English Online Course only after you have successfully completed your main TEFL class. Ready to enroll? Call your ITA Admissions Advisor or visit our Dates & Tuition page for more details about enrollment. Are you an International TEFL Academy student or graduate ready to enroll for the 30-Hour Teaching English Online Certification Course? Visit the Dates & Tuition Page for more details and to begin your registration process! Not an ITA student or graduate? Fill out a form to learn more about TEFL certification for teaching English abroad & teaching English online. This Teaching English Online certification course has been specially designed to provide all course graduates with the tools to succeed as professional online English teachers. This course is broken down into two chapters comprising of 30 hours of online coursework, and like all ITA classes, is taught by highly experienced professors. Below is a brief overview of what you will learn in this course. For a full, comprehensive overview including chapter breakdowns, task outlines, grading scales, and course policies, please visit our Teach English Online Course Syllabus page. Visit our Teaching English Online Resource Hub for more teaching English online articles, alumni stories, and videos.